Nifty opened flat to positive and went on to touch the highs of the day around 6219 within the first few minutes of trade but saw profit booking at higher levels. The index stayed below the previous day’s close for the major part of the day but saw the buyers back when it mattered most to close the day at 6204.95, a small gain of 15.60 points. The broader market was strong, with 859 advances to 477 declines. As per OI table support base has moved up to 6100 level. 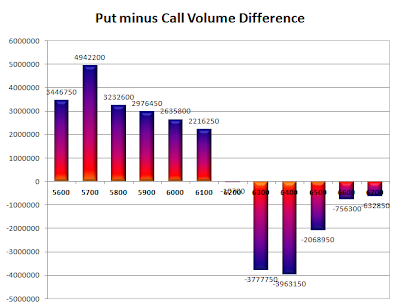 Call option 6300-6500 added 3.28 lacs huge amount of OI with short covering seen at 6200 and below strike prices. Put option 6300-6100 added 13.96 lacs huge amount of OI with profit booking seen at 6000 and below strike prices. Nifty Open Interest is at 1,85,03,550 down by 3,11,250, with increase in price, most probably huge short covering. 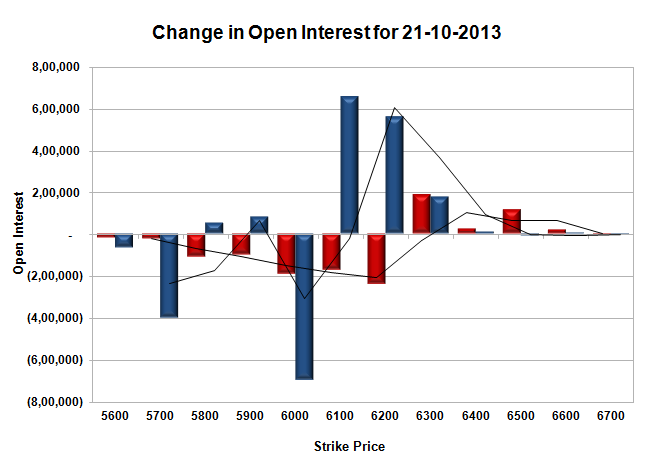 Bank Nifty Open Interest is at 18,08,550 down by 70,750, with increase in price, most probably huge short covering. FII’s bought 2.70 lacs Futures, mostly long build-up, as their net OI increased by 6779 contracts (includes 55720 longs and 50325 shorts) and the average price per contract comes to around 6126.28. FII’s future open contract as on date is 486496. PCR Open Interest (Volume) is at 1.592, a new high for the series. 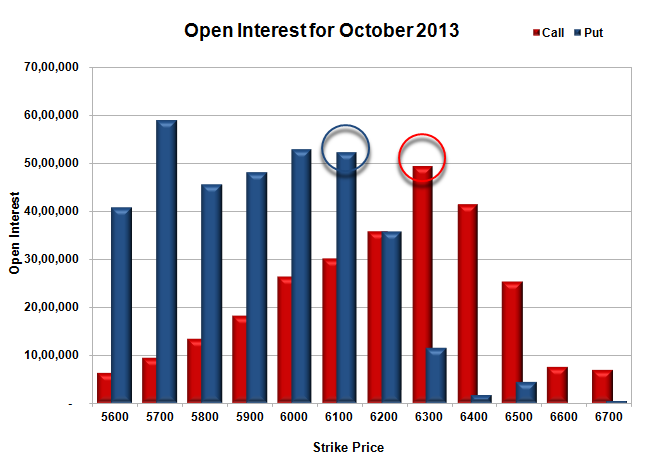 Initial support at 6100, with OI above 52.33 lacs, below that at 6000, with huge OI of 52.85 lacs. Best Resistance still at 6300, with OI of 49.41 lacs, above that at 6400 with OI of 41.49 lacs. 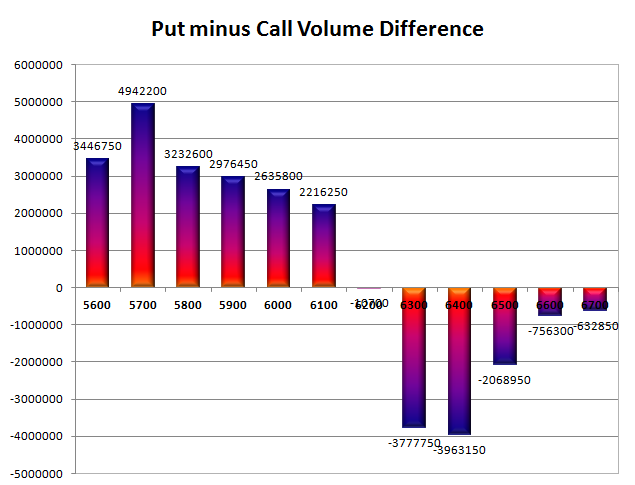 Day Range as per Option Table is 6130 - 6267 and as per VIX is 6139 - 6270 with 6195 as the Pivot.